With home energy prices on the rise, it’s time to evaluate how you can save energy and money. There is no one answer to becoming energy efficient. You could change dozens of small habits such as lowering the thermostat when you’re out, or sealing wall outlets, or you can let your house do the saving for you with systems that reduce energy costs. We have compiled a list of 5 major energy savers to kick start a more efficient life. Each one of these projects can result in at least 10% savings on your energy bill. And with the average heating cost for our area between $1000-$2300 per year, that adds up. This is the most cost effective way to save on your monthly energy bill. According to the Department of Energy, heating and cooling accounts for about half of the energy use in a typical home. Taking steps to cut energy use, such as insulating and sealing can reduce that cost by 10%-50%. According to TV’s Bob Vila, “Insulation is the most efficient energy-saving expenditure.” Vila says homeowners should check attics to determine the amount of insulation already installed. 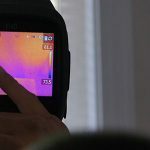 “Most homes built before 1980 have inadequate insulation,” he said, noting that if insulation between the joists of the attic floor comes only to the top of the joist, it probably makes sense to install more insulation. While traditional rolls of fiberglass are still around, new types of foam insulation offer higher quality and greater flexibility in tight spaces. And yes it is actually possible to over seal and cut the important airflow channels that keep mold from forming and protect you from carbon monoxide poisoning, so do talk to a professional about local code requirements and recommendations for your area. Upgrade a low efficiency gas furnace to modern technology. If you have a 15 year old furnace, you should know that furnace technology has really changed. The advent of the modulating furnace brings super efficiency to the industry. A modulating furnace continuously adjusts, or modulates its fuel use, to keep your temperature steady, vs the old way of furnaces revving up and then shutting off. This is more fuel efficient and comfortable as well. 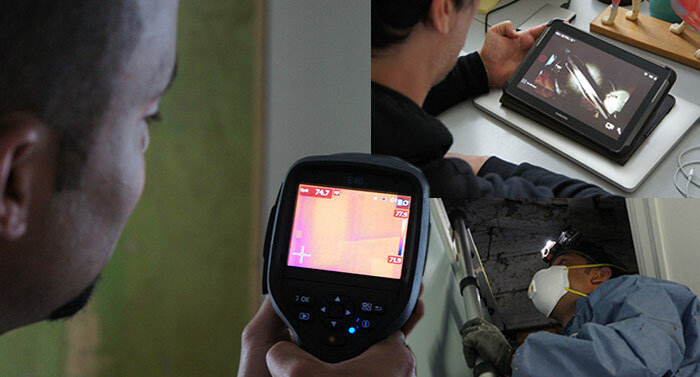 The industry measurement for furnace efficiency is called AFUE (annual fuel utilization efficiency). This refers to the amount of heat you get in relation to the amount of fuel you supply to the furnace. If you have an 80% AFUE furnace that means that 20%, or 20 cents of every heating dollar, is escaping and not going into your home. And that’s the best case, if your venting is sealed tight and your furnace is maintained to manufacturer standards. Upgrading to a 95-98% furnace could lower your heating cost by 15% or more, as it will use 95%+ of its fuel for heating. You can really increase that savings when you switch your fuel source from oil or propane to natural gas. According to Snohomish County PUD and Seattle City Light, (who post online heating cost comparisons), the annual cost to run a propane or oil furnace can be two or three times the cost of natural gas or using a heat pump. That would be a 300% savings! Or, if you have electric baseboard heat and no ducts, consider a ductless heat pump. This ultra-quiet electric heating option can give you 25-45% savings vs your current electric heat. This big savings is why PSE and Seattle City Light offer up to $1200 incentives to qualified homes who go ductless. If you have older wood or aluminum framed single pane windows, you could be adding as much as $258 dollars per year (20%!) to your energy bills according to EnergyStar™. New windows don’t just have more panes; Energy Star qualified windows will have treated low-E glass to keep outside temperatures where they belong: outdoors. Using an insulated window frame increases that benefit. This will leave your windows feeling warmer in the winter, cooler in the summer and will reduce your energy costs. Even if you have great windows, caulking them every year ensures they don’t leak air as the house settles, and it keeps your warranty intact. 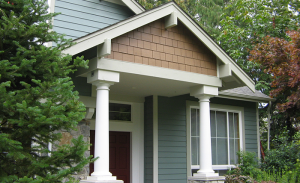 There have been several exciting advances in both ease and efficiency in siding technology. One such advance is thermal or insulated siding; a vinyl siding with rigid foam insulation that is attached to the panel. A study conducted by Newport Ventures found that that there was less heat loss from insulated siding when compared to fiber cement. This can lead to estimated savings in the western Washington climate of 15% of total energy used. In fact, some of siding manufacturers will guarantee an energy savings. Vinyl siding doesn’t have to look cheap, new durable high quality brands provide the look of cedar in a composite product with virtually no maintenance, so you will save on painting too. You may be surprised that this is one way to save 10% on your home heating bills. Your furnace doesn’t get a ton of credit for how hard it works. Based on the average winter degree-days in our area, the average furnace is firing approximately 4268 hours each year. The average car is driven 15,000 miles in that same year, which averages 540 hours of use. Based on these estimates, your furnace accumulates an average of 118,555 “furnace miles” each year. This puts into perspective how much energy is being used to heat your home. At the NC Sustainable Energy Conference they presented a case study on an HVAC system that was not properly maintained. Dirty filters added 4.1% to energy consumption and a malfunctioning blower fan added 8.4%. This means that the unit was running 12.5% under its optimal efficiency due to poor maintenance. You wouldn’t go 100,000 miles without changing the oil in your car so treat your investment right and maintain your furnace. This list has been compiled by Washington Energy Services, a local family owned company that sells energy efficient home improvement products and services. Any one of these options could cut 10% off your heating and cooling costs, and in combination the savings can be more. For more information contact your local utility or Washington Energy Services.